Furniture can receive a lot of attention. This is especially true in a home with children and pets. We understand that accidents happen making dirt and stains seem impossible to avoid. All Seasons Chem-Dry can restore you furniture making it look and feel good as new. We are able to clean all types of furniture including sofas, loveseat, sectional, ottomans, chairs and even mattresses. You can rest assured knowing that our experts are professionally trained. We handle your upholstered materials with care. When scheduling an upholstery cleaning service, ask about applying a stain guard to your furniture. Our Chem-Dry Protectant will help repel stains prolonging the life of your upholstery. It will create a protective shield around the fibers of your furniture. This shield will protect your upholstery from dirt and liquids. Make you furniture look its best all year round by asking one of our professionals about applying our dynamic stain guard. 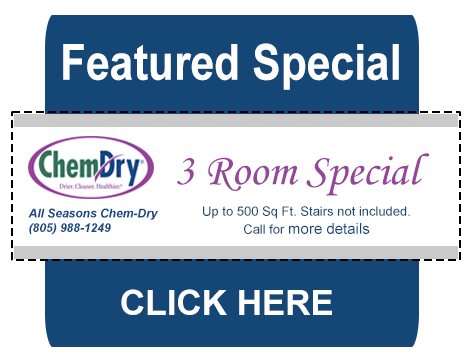 All Seasons Chem-Dry’s primary cleaner is a mixture of natural ingredients and carbonation. The power of our carbonated cleaner will force dirt and soil to rise from the surface of your furniture. We then extract the dirt and soil using our specialized tools and equipment. Our carbonated solution is called The Natural. 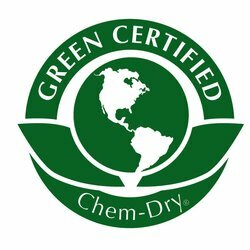 The Natural is non-toxic and Green Certified. So you can rest assured knowing that it is safe when used around children, pets and people with allergies. We don’t use any soaps, shampoos or detergents to clean your furniture. 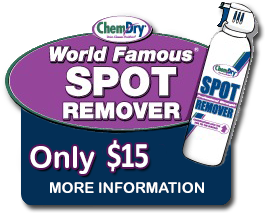 These tend to leave a dirt attracting residue behind causing your upholstery to get dirty quickly. The Natural doesn’t leave behind any dirt attracting residue which allows your furniture to stay clean longer. Safe for all kinds of upholstery, including some of the finest natural fibers. Stays clean longer. No dirt-attracting residue is left behind. Great for auto upholstery, boat upholstery, office dividers and any upholstered material. Our stain guard will protect your upholstery from soil and stains. To learn more about upholstery cleaning, click here, or call our representative for more information.